Este Abril tengo el honor de participar en este maravilloso festival creado por y para Mujeres. Serán 4 dias de talleres, encuentros, compartir con más de 50 facilitadoras! Allí voy a traer mi Danza Utera, un recorrido hacia nuestro puente de conexión a menudo olvidado… corazón-útera. Bailaremos nuestra esencia recorriendo los 5 primeros chakras relacionado a su elemento y su aceite esencial, apoyandonos en nuestra ciclicidad femenina, explorando nuestros 4 fases del ciclo mestrual. Join Magda Procner and Nuria Peguera for a transformative, healing journey designed specifically for women! Set in an authentic finca on one of the most beautiful Meditarrenean islands, this retreat combines yoga, dance, meditation, tantric techniques, menstrual therapy and more! We have a special introductory offer – EUR 75 off* for anyone who books the retreat within a week – until 20th of March! With direct flights from London at around EUR 150 return at the moment and from Barcelona at EUR 50, this is an affordable escape from the daily life that will leave you inspired and rejuvenated. Mallorca has been one of Europe’s most popular summer holiday destinations for many reasons – sapphire seas, white beaches interspersed with coves and cliffs, nature reserves and formidable mountains create a unique, lyrical landscape which does not cease to seduce. The retreat will be held in an authentic Mallorcan finca located in a rural area in the middle of the island, near the village of Sant Joan. Featuring 5000m2 of gardens around with fruit trees and hammocks, a swimming pool and a designated yoga room, it’s a perfect place to retreat from the hustle and bustle of every-day life. Three delicious, nutritionally-balanced, plant-based meals prepared with seasonal, locally sourced ingredients will be provided during the retreat and served in the form of a buffet. Check the link below to see the the full list of meals which will be served! Each day we will work with a different chakra, element and Hindu goddess – balancing our feminine and masculine energies, awakening our creativity, intuition and inner wisdom, healing imbalances and discovering our inner goddess. A variety of techniques will be used – yoga, meditaion, pranayama, tantric techniques, sacred flamenco, divine balance dance and more – you can see the full schedule by clicking on the button below! In our free time, we will explore the island and its natural beauty – the beaches, national parks, forests and caves. One of the attractions we will visit are Cuevas Del Drach – spectacular caves whose walls are adorned with impressive stalactite and stalagmite formations, which contain one of the largest underground lakes in the world. Prices start at EUR 750 (or EUR 675 with the introductory offer! ), including the full package – accommodation, all classes, food, excursions and airport pick ups and drop offs! Check all details below! 🔽Dear sisters ,during these days I will publish more details as location , prices, program etc … About this wonderful festival to be celebrated in South Goa 11-13 January .India. A Festival enriched with the energy of special Guests. Women drawing closer together by their passion for their work on Women’s empowerment , they will bring the wisdom and love through different approaches . We are happy to host on this Sacred journey , these amazing Women!! 17-18-19 June. In Ashram Bhakti Yoga, “Aulàs” Spain. In this Retreat, we will make a journey of self discovery to the 4 phases of the moon that are connected to different stages in the life of a woman : Maiden with the crescent moon, Mother with the full moon , the Chamana with the waning moon and the Old Woman with the black moon . Each stage linked to a Goddess Archetype and make us a mirror to know each other better , become aware of our cyclical power, expand our vision of what it means to be a woman nowadays. 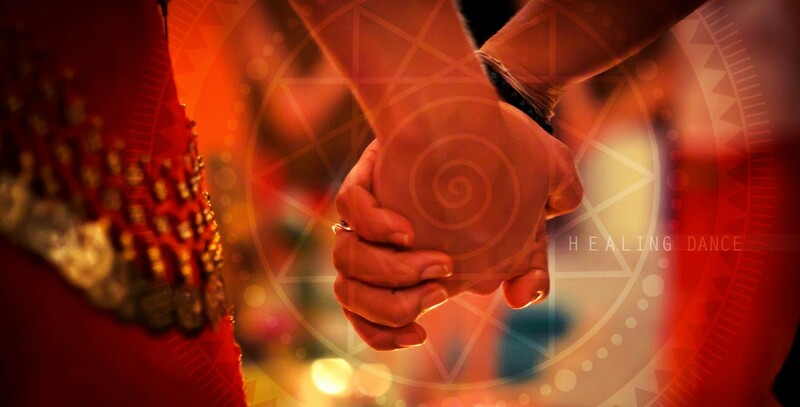 Through Healing dance as the main instrument , Tantric meditations, Goddesses Rituals. ..We will explore our true essence in a Fun and entertaining way! ♥What can offer to you this workshop? ● Connect with your full feminine potential, more confident, safer and relaxed feeling. ● Activate your connection to the cycle of the moon to channel the energies of each of the four phases in your life. ● Discover how you act in the four Archetypes :Maiden , Mother , Crone and the Chamana , to strengthen them and balance them in a practical and inspiring way. ● Learning useful relaxation exercises and activation with the moon to benefit us in our daily lives. ●Unlock energetically fears and pains of our physical and emotional body , through dance and conscious movement . ● Awaken your inner Goddess in every phase of the lunar cycle recovering our forgotten powers. Dedicated to all women !! Created by a lovely couple , Conchita Bellès & Babaji Ragunat Das, with much love and enthusiasm , they have managed to merge the experience , culture and tradition between India – Spain . ☆That workshop will be in Spanish, with the possibility of English translation. The Retreat has limited places. En este Retiro, realizaremos un viaje de auto descubrimiento hacia las 4 fases de la luna que están conectadas a las diferentes etapas en la vida de una mujer : La Doncella con la luna creciente, la Madre con la luna llena, la Chamana con la luna menguante y la Anciana con la luna negra. A través de la Danza como instrumento principal, meditaciones tántricas, rituales de las Diosas…exploraremos nuestra verdadera esencia de una manera amena y divertida! Al mismo tiempo que aprendemos ejercicios útiles para nuestra vida cotidiana. Aprovecharemos la última Luna Llena justo antes del solsticio de verano, para enraizar nuestros proyectos y nutrirlos, dando paso a un nuevo verano realmente EMPODERADAS! ! “Como mujeres necesitamos reconectar con la experiencia cíclica de lo femenino y de la vida, recuperando nuestra sabiduría ancestral. ♥¿Qué beneficios puede ofrecerte este Retiro? ● Conectar con tu máximo potencial femenino, sintiéndote más segura, confiada y relajada. ●Activar tu conexión con el ciclo de la luna para canalizar las energías de cada una de sus 4 fases en ti y empoderarte como Mujer. ●Descubrir cómo actúan en ti los cuatro Arquetipos de la Doncella, la Madre, la Chamana y la Anciana, para poder fortalecerlas y equilibrarlas de manera práctica e inspiradora. ●Aprender ejercicios útiles de relajación y activación con la luna para poder beneficiarnos en nuestra vida cotidiana. ● Desbloquear energeticamente miedos y dolores de nuestro cuerpo físico e emocional, a través de la danza y movimiento consciente. ● Despertar y activar tu Diosa en cada fase del ciclo lunar recuperando nuestros poderes de lo Sagrado Femenino. MujerLuna está dedicado a todas las mujeres!! Te invito a que disfrutes de un fin de semana para ti, en un entorno magnífico del Pre Pirineo catalán “Aulàs”. Un espacio bello y privilegiado con sala para meditación/yoga en medio de la naturaleza, creada por una pareja encantadora, Conchita Bellès y Babaji Ragunat Das que con mucho amor y entusiasmo, han sabido fusionar la experiencia, cultura y tradición entre India-España.